An application program interface (API) is a code that allows two software programs to communicate with each other. 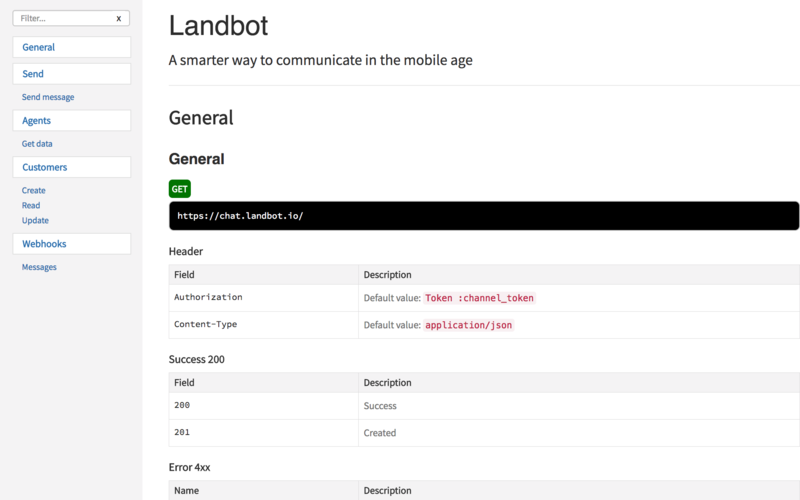 You need a Professional Account to use Landbot's APIs. The API defines the correct way for a developer to write a program that requests services from an operating system (OS) or other application. 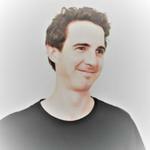 APIs are implemented by function calls composed of verbs and nouns. APIs are made up of two related elements. The first is a specification that describes how information is exchanged between programs, done in the form of a request for processing and a return of the necessary data. The second is a software interface written to that specification and published in some way for use. Landbot Web API uses resources like HTML pages and can be accessed using a simple HTTP protocol. Landbot API belongs to the REST typology (representational state transfer) because we do not save any data internally between requests. 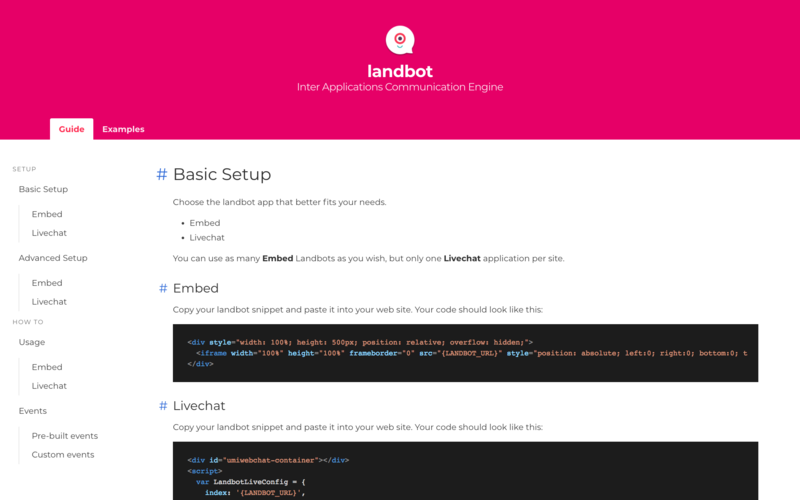 Landbot's main API, included in the Business Plan, allows you to integrate anything in and with landbot. 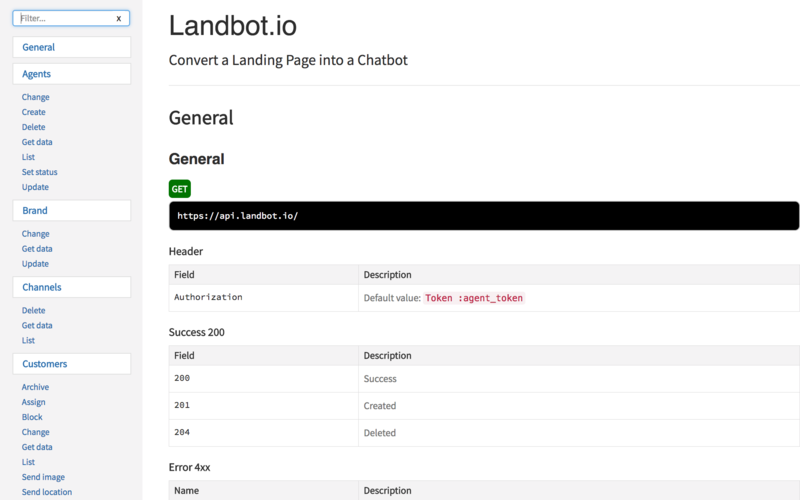 Useful if you want to natively integrate your CRM, or manage landbot conversations from your own Helpdesk. We also have a Channel API available that allows you to integrate any channel into our dashboard so you can manage it straight from there.